ENERCAP audited, reviewed and defined the energy strategy of a top 3 pharmaceutical company (120 sites worldwide – $ 1.5 bn annual energy budget). For a western African country ENERCAP studied an existing energy mix and – based on cost, delay, needs, and the environment – proposed 3 new scenario highlighting LNG and renewable options. 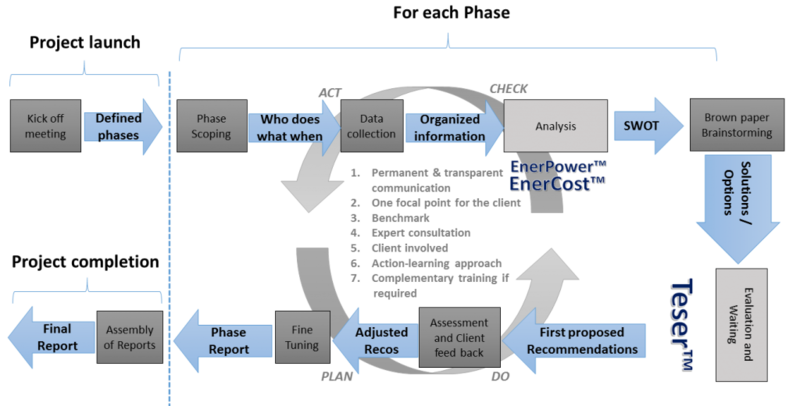 ENERCAP and its partner have audited and proposed a new organization to improve performance, reduce cost, reduce technical and commercial losses, increase revenue collection, and more. In a west African country, ENERCAP defined and drafted 2 new regulatory frameworks for a smart grid and DSM. For an African country, ENERCAP with its partner defined both Tariff and Pricing Grids and Policies based on Production Park, costs, varying demand, structural factors and more.